157 years ago, Central America was struggling to build its future. After 300 years under Spanish Rule, it had gained its independence by accident, when “New Spain” declared its freedom from Spain. New Spain (Mexico) was a vast territory that went as far south as the border between Costa Rica and Panama. 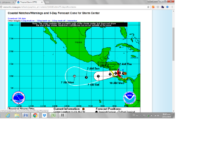 To the north, it extended well into South Western United States. California, Nevada, New Mexico, Arizona, Colorado and Texas were all part of that territory. The United States, with its “Manifest Destiny” had closed a deal at gunpoint with Mexico. They had “bought” a vast territory and expanded their country to the Pacific Coast. 5 of the original 7 Central American Provinces decided to try their luck on their own, thus seceding from Mexico. This was before Mexico had lost its northern territories to the United States. But Central America struggled between two opposed visions. One called for a Central American Federation; the other for five independent states. To top it all off, the United States was keen to intervene in the region to build a canal across the narrow Isthmus. At around the same time, the California Gold Rush was in full swing. Thousands of Americans were looking to find a route from the East Coast and the Mid West to California. This was a dangerous expedition. There were no railroads, and the trails all led through Native American Indian territories. There was a need for an alternate route that was faster and above all, safer. Boat Trip on the Indian River, passing by the historic 160 year old Transit Company dredge. One of the great US Entrepreneurs of the time, Cornelius Vanderbilt jumped on the opportunity and formed the Transit Company. The purpose of the company was to provide safe passage between the East Coast of the US and California. 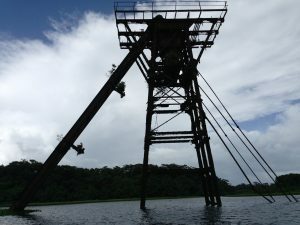 The route was set up to travel south to the Port of Graytown, on the Caribbean Coast of Nicaragua. 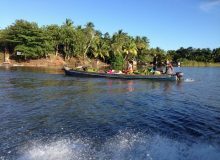 There, passengers would board a steam ship and sail 200 km (120 miles) up the San Juan River in Nicaragua to Lake Nicaragua. After navigating across the lake, they would disembark at the lake port of La Virgen in the Rivas Isthmus. Finally a short 20 mile stagecoach ride would get them to San Juan del Sur on the Pacific Ocean. From there, they would board a ship and travel north to California. The trip was faster, and much safer than taking the trails across the USA. It was also a profitable operation for Vanderbilt. With a price ticket of 200 dollars per person, and over 3000 passengers a month to transport, it was worth a pretty sum! (About 7 million dollars a year revenue!). The Transit Company operated several steamships, stage coaches and ocean going vessels. The company created a booming economy in Graytown on the Caribbean Coast. San Juan del Sur on the Pacific Ocean also saw a boom in their economy. 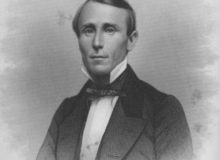 Vanderbilt’s profitable operation was taken over by force by another American individual: William Walker. 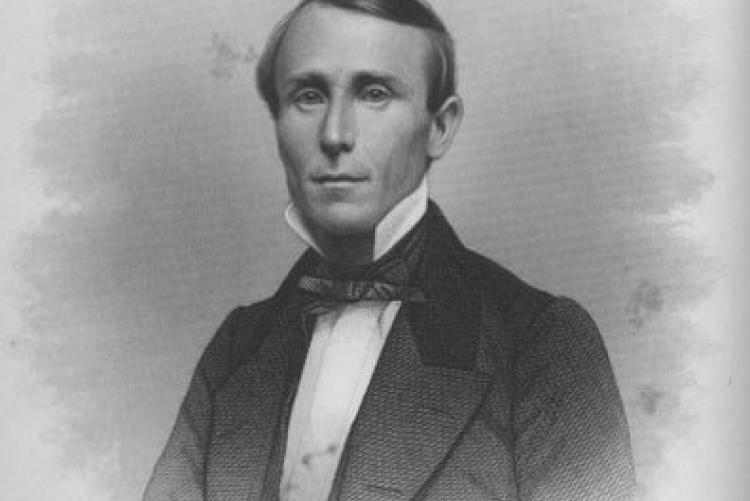 Walker was a short, ambitious young man from Nashville, Tennessee. who had decided to conquer Central America. He began his efforts in Nicaragua, and became president of that country. His Megalomaniac ego pushed him to seek taking over the rest of Central America. For this venture, he needed some serious funding. The source would be no less than the Transit Company. So as president of Nicaragua, he took over the company from Vanderbilt! Cornelius Vanderbilt was not a good enemy to have. He convinced the government of Costa Rica to attack Nicaragua and overthrow his fellow American citizen. Honduras followed suit, and sooner than later, Walker ran away from of Nicaragua. Before leaving Granada, he burnt the city to the ground. Then escaped on one of the steamships he had commandeered from Vanderbilt. This was a costly venture for Nicaragua. 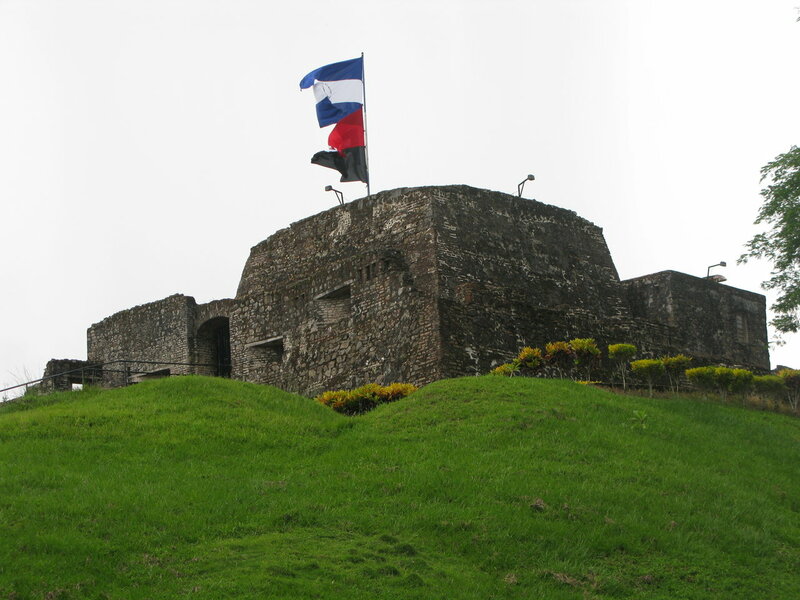 When Costa Rica invaded Nicaragua to chase Walker, they settled an old dispute with their neighbor. The Province of Guanacaste had long been a dispute between both countries. 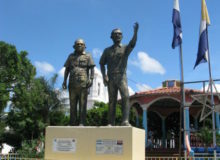 Costa Rica took advantage and settled the question by forcing Nicaragua to sign the Jerez – Canas Treaty. 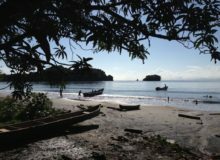 In the treaty, Nicaragua cedes Guanacaste, but makes sure to keep full sovereignty of the San Juan River. The main reason for this interest in a century old dream to build a trans isthmus canal through Nicaragua. 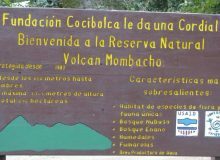 The route would follow the San Juan River from the Caribbean up to Lake Nicaragua. 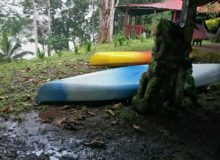 Then navigate across the Lake Cocibolca or Nicaragua. Walker was “saved” by a US Navy ship in Graytown. He made if back safe and sound to the United States, but it would not be long before he was back in Central America. This time he went to Honduras, where his luck finally ran out. After attacking and taking the port city of Trujillo he was arrested, tried, and put before a firing squad. You can find his tomb in the old cemetery in Trujillo, Honduras. There is a nice museum that offers great images and info on the Transit Company. It is in the town of El Castillo, right on the San Juan River. The museum is in the remains of the historic fortress of Immaculate Conception of Mary. If you are interested in this historical site, you should certainly visit it! There are several different hotels in El Castillo. I enjoy visiting this friendly community often.